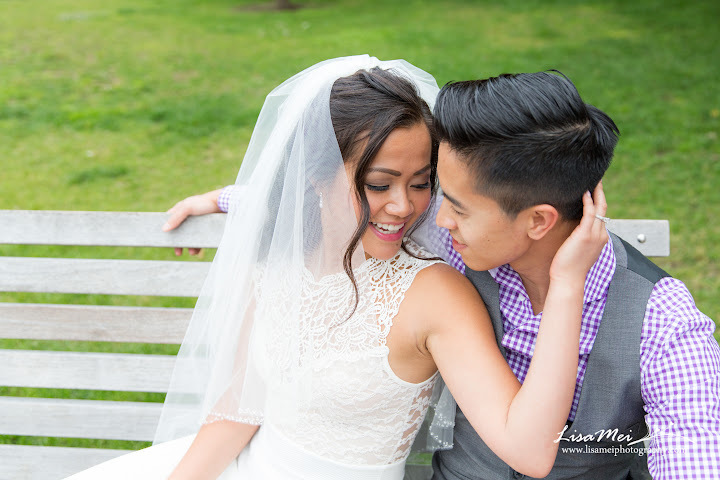 Kimmy and Huy were one of my most photogenic couples I ever photographed! 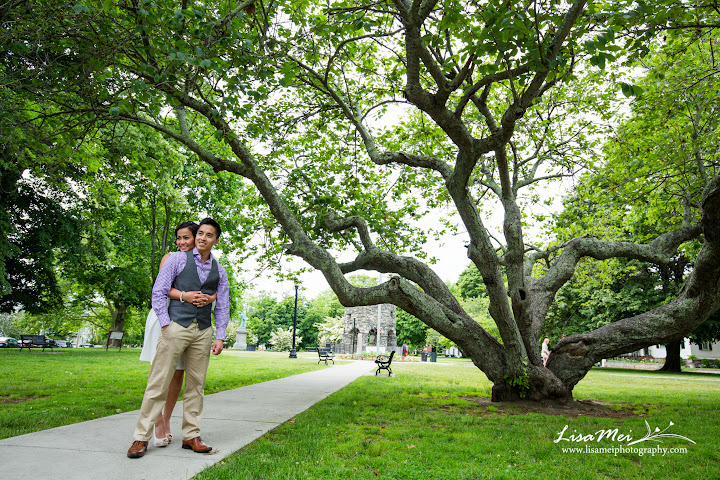 When I suggested the idea of having the pre-wedding photoshoot (they were engaged three years ago) at Newport, RI and showed some pics to them, they decided on Newport. Weeks before the photo session, Kimmy sent me photos of her outfits and we exchanged some ideas. Kimmy was well prepared for the photoshoot: make-up, hair, outfits, and accessories! Her friend did an excellent job of her hair and make-up; it stand for 5+ hours. We met at 1:30 pm and drove down to Newport to start shooting at 3 till sunset. But on the way down, it was getting cloudier and cloudier! Our first stop was near the Trinity Church; there was a farmer’s market that weekend so filled with people on the church backyard I tried to shoot from far away. We stopped at Starbucks for coffee – Huy is a Starbucks addict – so we took some pics inside Starbucks LOL! Next stop was the cliff walk but by the time we got there, it started to rain!! We decided to leave for an early lunch and pray that the rain will stop. Weather forecast was changing every time we checked grrrr! Luckily after dinner, the rain has stopped! We managed to get more photos with the Newport bridge and the marina before it got dark. At that point it was sunset time though no sun! I asked them if they want to go to the last location to check it out, they can decide to continue shooting or head home. Even after 4 hours of photoshooting, they were so energetic! We got down to the rocks and they decided to give it a shot (no pun intended)! Kimmy changed inside the car and we continued shooting. 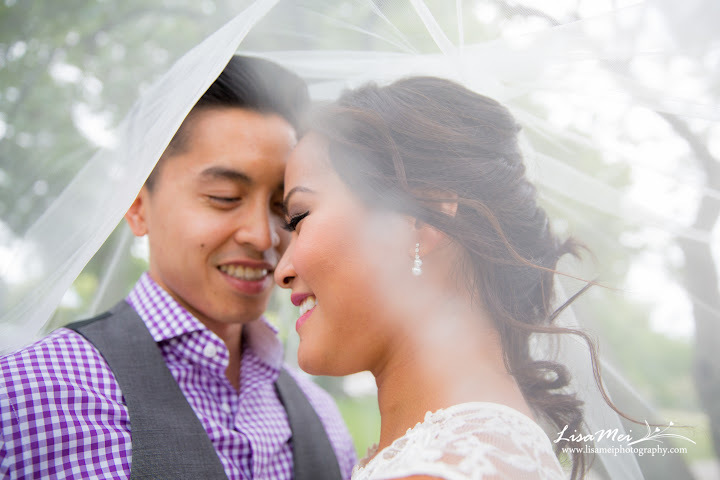 It was so windy that I had my assistant, Mark, to hold her dress LOL. It was definitely hard to snap the perfect moment of the dress blowing from the wind but the end result was well worth it! 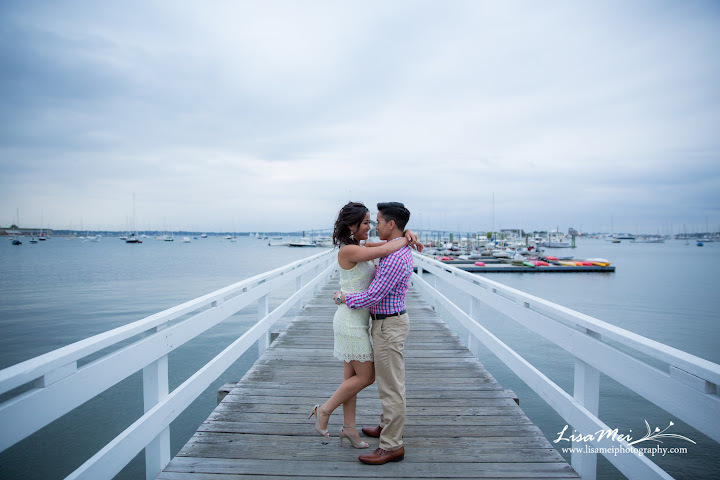 Lastly, I had them walk to the beach on the back and I shoot from the rocks – after the first shot, it started to rain!!! I took few more shots very fast and we all ran back to the car….soaked! BUT I got the raindrops shot and it turned out awesome! 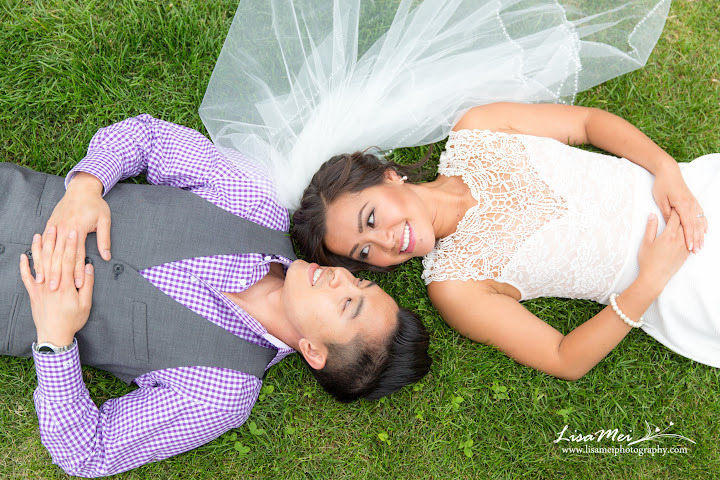 Thanks Kimmy and Huy for being such great models, we all had so much fun!